The term Standard Timetable is a play on words borrowing from the world’s division into different time zones, a standard zone being a commonly accepted one. 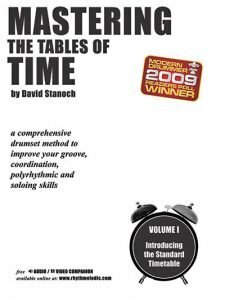 The Standard Timetable in Roundtable Form focuses on duple and triple subdivisions, as they are the most commonly used in popular music, that expand or contract rhythmic phrases into half, double, and triple-time feels. One timetable provides several tempo applications. The term Roundtable Form uses word play to define a circular approach to practicing the timetables throughout the book. As you play through each example, it is recommended that you repeat the example in reverse order-like an extended musical arch form. The purpose of categorizing the timetables serves to highlight applications unique to each. They each provide a framework that ties the concepts of the chapter studies together, just as one would want to do when performing. Good timekeeping begins with a strong sense and understanding of how to subdivide the beat. The goal here is to be able to comfortably hear, anticipate and play musically through all of the note values while keeping steady time based on the quarter-note pulse. Video Demonstration 1, produced by my friends at Vic Firth, illustrates the above information by example. 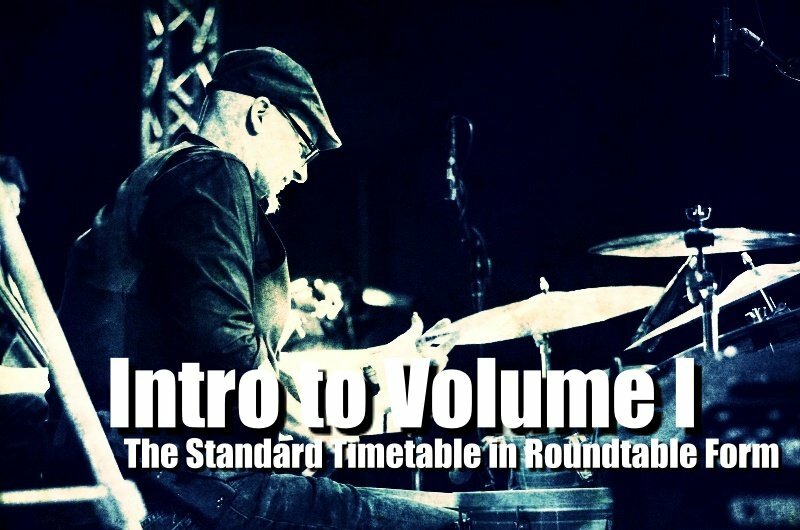 DOWNLOAD the PDF to see and LISTEN to the MP3 to hear the Standard Timetable in Roundtable Form at a tempo of quarter-note = 60 bpm with click track accompaniment.